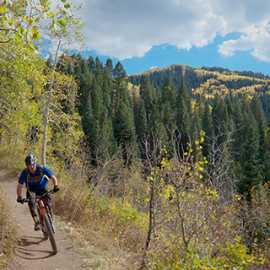 The Dog Lake mountain bike ride usually begins at the Great Western Trail trailhead in Mill Creek Canyon. 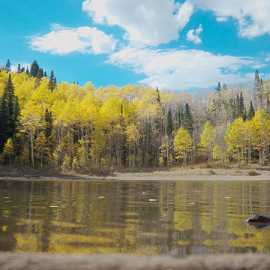 The lake itself is picturesque and surrounded by a massive aspen grove. 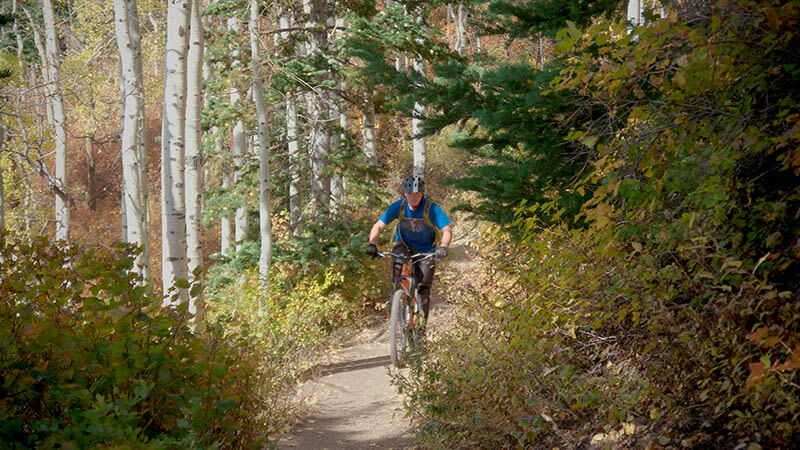 Dogs are allowed on the trail and up to the lake, but they must be leashed on even numbered dates. 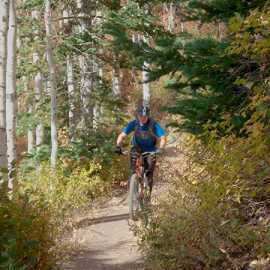 Likewise, bikes are only allowed on the upper Mill Creek Canyon trails on even days. 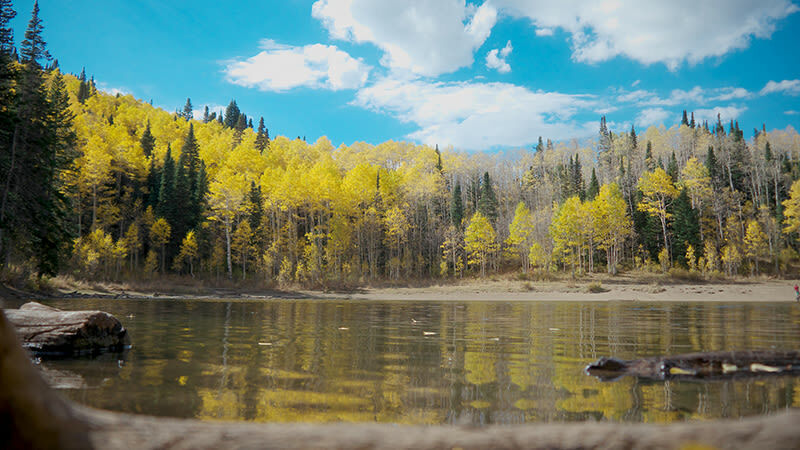 The biggest benefit of Dog Lake is the epic scenery. 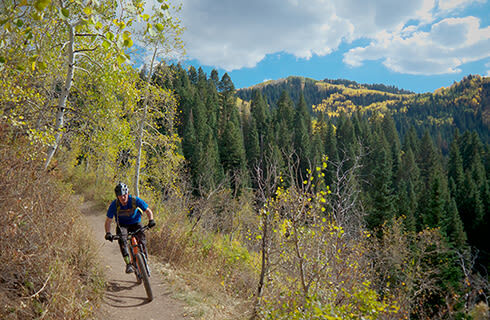 You’ll get stunning mountain views and broad vistas. 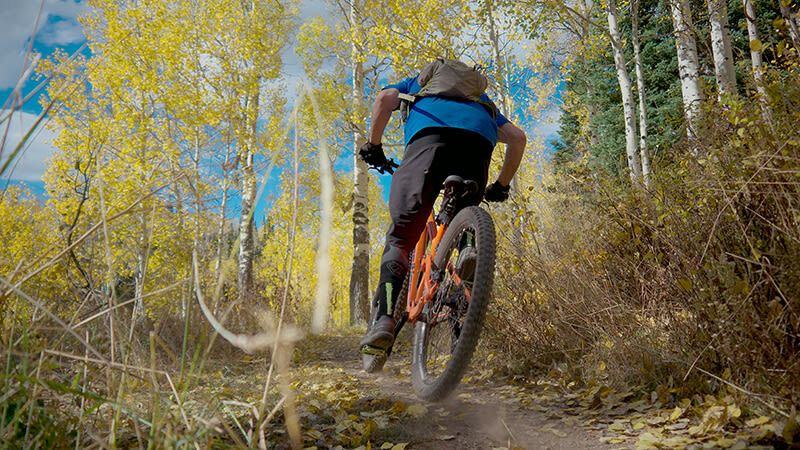 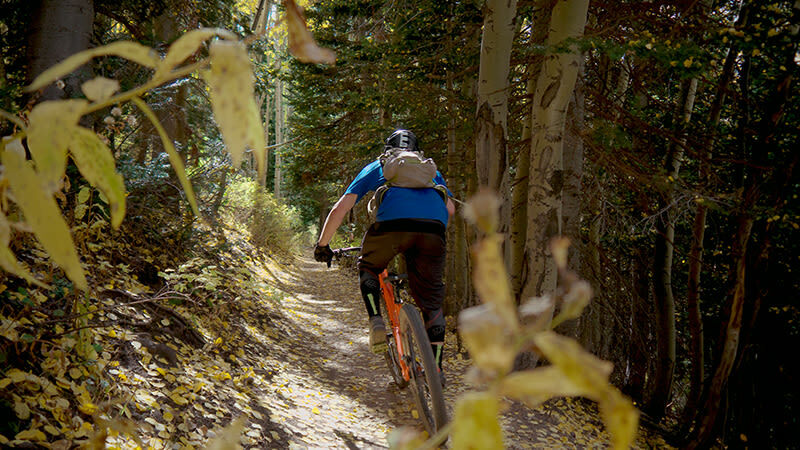 You’ll ride through thickly wooded forests filled with aspens, cottonwood, and towering pines.